Everything to make December a warm and festive month ! And every year there is a new specific theme! That’s a good occasion to rediscover Annecy in a new light, with the beautiful lake and snowy mountains for background. Todo para hacer de diciembre, un mes cálido y festivo! Y cada año hay un nuevo tema! Esa es una buena ocasión para redescubrir Annecy bajo una nueva luz, con los hermosos lagos y montañas nevadas de fondo. 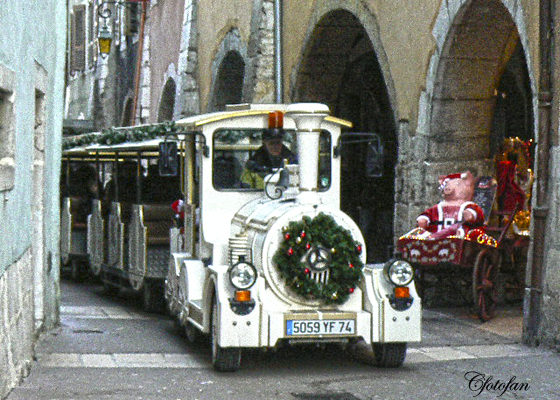 This entry was posted in captures, culture, gallery, history, Images, photos, pictures, travel and tourism and tagged alpes, alps, Annecy, Christmas time in Annecy, France, Francia, winter in Annecy. Bookmark the permalink. What a beautiful series of photographs of the destination that I hold most dear, beautiful France and picturesque Annecy.